I love this bronzer mainly because of the perfect shade which I would define as a neautral bronze because doesn't goes into warm tones. The owners of particularly pale complexion will love this product. It is very easy to work with, doesn't create stains, blends beautifully and is impossible to apply too much. Has a 15g for a only £3 price and I'm sure that will be last for me forever. About this concealer probably don't have to say too much, is simply awesome. Definitely one of the best drugstore good coverage concealer on the market! If you are fans of the visible glow on the zygomatic bones, you will certainly like this palette. As for me has well-chosen shades, which all I would define as useful. The effect that they give I would compare to a lot of more expensive highlighters, so why pay more. If you prefer a more subtle glow then will be more suitable Revolution Pro Illuminate which also has a great quality and I love to use on a daily basis. I don't know why no one say anything about these beauties because they're really great. You can apply them in very simple way, have nice unique shades and do all the job, you can't be unnoticed. If you like parties, experiment with makeup or looking for cheap brocades eg for instagram or blogs looks, I highly recommend those ones. 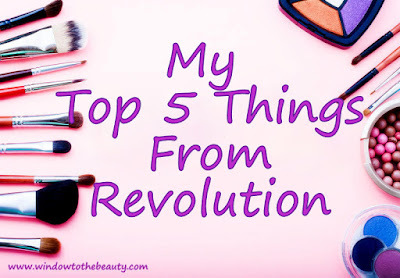 Of course there is a whole lot of cosmetics and other things from Revolution which I did not have the opportunity to try, so if you have something to recommend, some of your must have from this brand, please let me know I am willing to buy something new.